There are three good reasons why dashing Civil War hero and New York lawyer William Teague cannot tell artist Mae Kendrick he’s in love with her. One, she told him he was dull. Two, she is the niece of an important client. Three, she just hired him to find the man she doesn’t remember marrying. As Will unravels this peculiar case, he makes a shocking discovery about Mae's childhood, one that shifts the investigation to the land of her birth---Ireland. But on the voyage overseas, circumstances become increasingly bizarre. Mae is taunted by ghost-like visions, and Will is pursued by a beautiful stranger who might be trying to kill him. When Mae suddenly vanishes, Will is forced to enter a thin place, an ancient monastic ruin leading to Ireland’s Celtic otherworld, in what becomes a race against time to find her. But are Will’s war-honed instincts any match for the alluring forces of Irish legend? Can he protect Mae from the apparitions of her past? And just how far beyond the breaking point can secret love be tested? A captivating tale of mystery and self-discovery, Cliff of the Ruin escorts the reader into a mythical world to explore the ever-hazy lines between romanticism and love, regret and repentance, wishful thinking and hope. 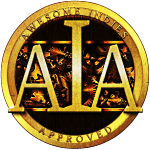 5/20/15 News: Cliff of the Ruin was just made a finalist in the 2015 National Indie Excellence Awards! 11/2014 Update: Due to a change in publisher, Cliff of the Ruin has been temporarily removed from the marketplace. The author apologizes for any inconvenience this delay causes her readers. 11/12/14 News: Cliff of the Ruin was just honored as a Finalist in the "Fiction: Cross Genre" category of the 2014 USA Best Book Awards. 6/21/13 News: Cliff of the Ruin was just awarded the Writer's Digest Mark of Quality for literary merit.